EuroBulkSystems is a dynamic bi-monthly publication, circulated to over 9000 readers - primarily users of bulk processing systems - throughout Europe. The magazine reports on the handling, processing and distribution of powders, granulates, flakes and pellets - as well as, to a lesser extent, liquids and pastes. Click on the news section to read the latest weekly EuroBulkSystems news. In addition to its print version, Oakhill Media Ltd is pleased to announce that EuroBulkSystems can also be viewed in Digital Format. To view the latest issue, Click HERE. POWTECH 2019, which took place 9 – 11 April in Nuremberg, was supported by 824 exhibitors from 35 countries. AZO has introduced the AZO COMPONENTER® Step. Eclipse Magnetics has supplied nine Pneumag magnetic separators to AB MAURI UK & Ireland, part of Associated British Foods, allowing the company to meet the very latest food safety standards in its soya milling processes. PENKO Engineering has introduced the Type SJB190 cable connection box which has been designed to avoid interruptions and interferences to the smooth running of plant processes. Starlinger Group will exhibit at this year’s ITMA in Barcelona together for the first time with its new subsidiary STC Spinnzwirn. Spiroflow has launched a monitoring system that remotely provides real time information on the performance of its complete machinery range, from flexible screw conveyors to tubular drag and aero-mechanical conveyors. Coperion and Coperion K-Tron will present various innovations on their joint stand (4-290) at POWTECH. Rotolok has named John Pickering as group product and business development manager. 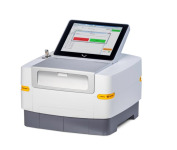 Malvern Panalytical in March launched the next generation of its Epsilon 1 X-ray fluorescence (XRF) spectrometer. Greenwood Magnetics will be launching a new easy-clean bullet magnet on Stand 3-638 at POWTECH.